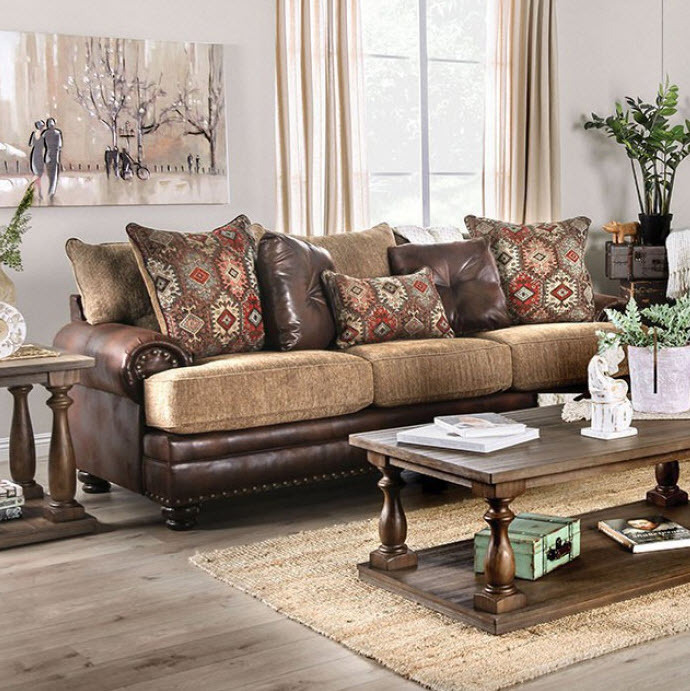 Fearlessly mix traditional designs with rustic palettes and textures. 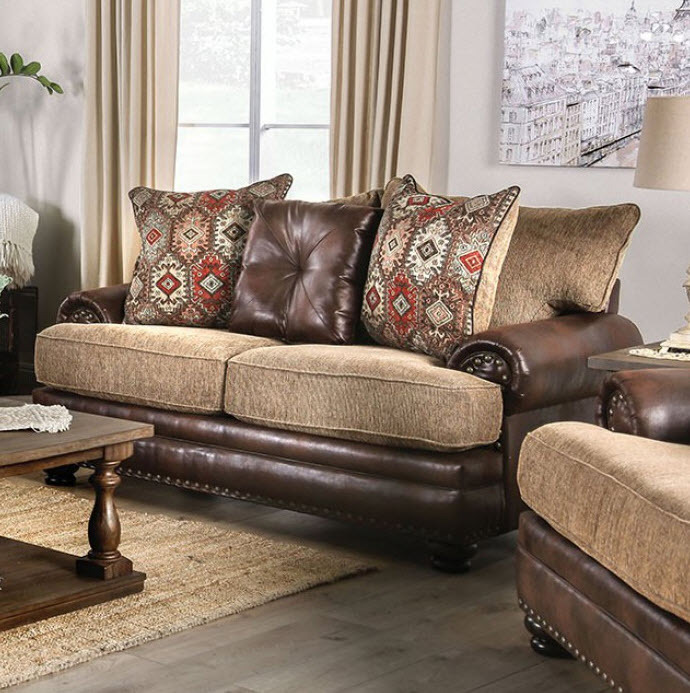 The contrast of soft chenille with masculine leatherette is makes for a tantalizing experience. 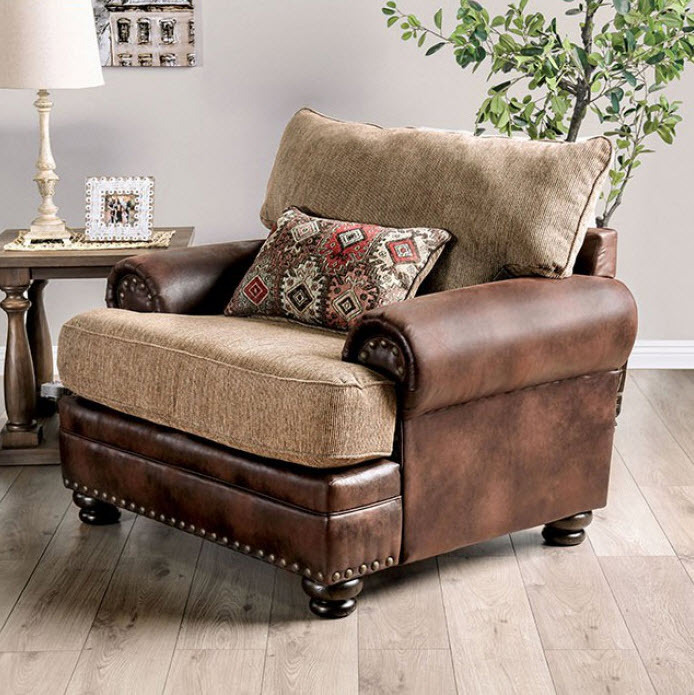 Highlighting the contrasting styles further is a the curling rolled arms and nailhead trimming. 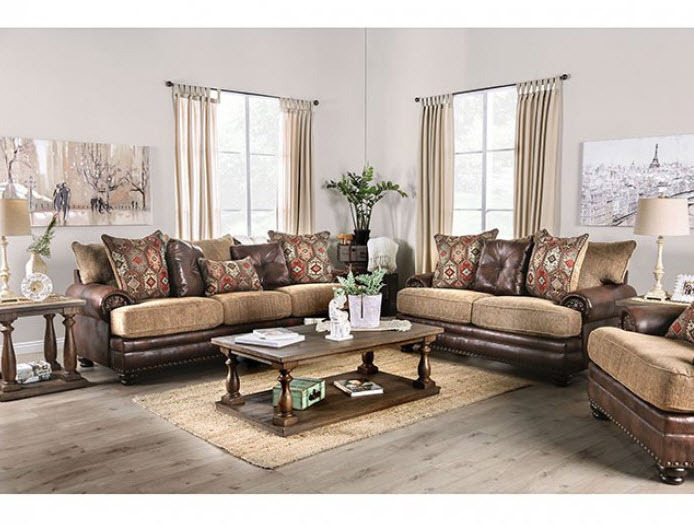 The usually shimmering silver dots are replaced by brass heads for homemade finish that frames the unique set pieces Please note that the base price only includes (1) Sofa. Please add the additional items to customize this set to your liking.